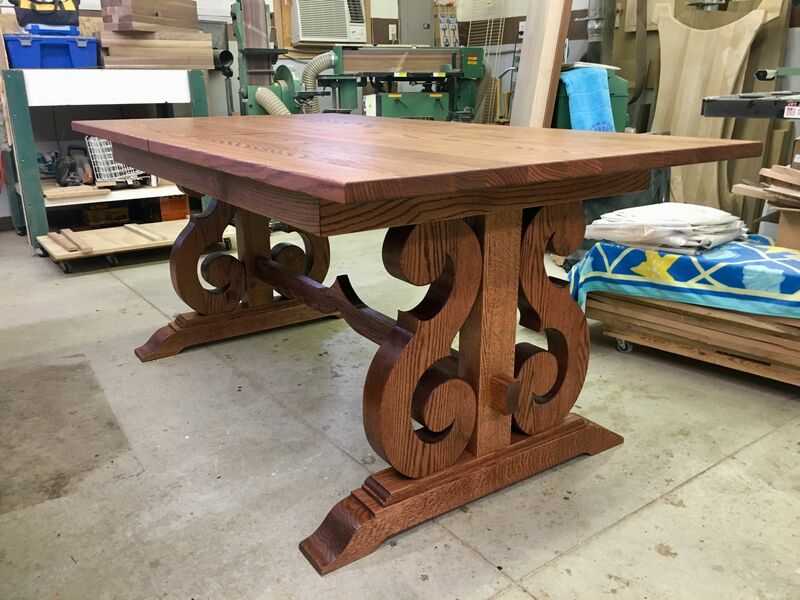 Customer & craftsman collaborated to develop and construct a truly customized solid Oak Dining Table with self-storing "Butterfly" Leaves. With the two 12" wide butterfly leaves in place, the 6' Dining Table becomes an 8' x 40" wide Dining Table. Four 4" thick corbels were constructed to support the table structure and are the central design feature. The top and leaves were cut from a large oak panel so that the grain pattern is consistent throughout the length of the top. Specialty hardware and invisible hinges allow the butterfly leaves to be stored under the 1-1/4" thick table top with minimal effort. 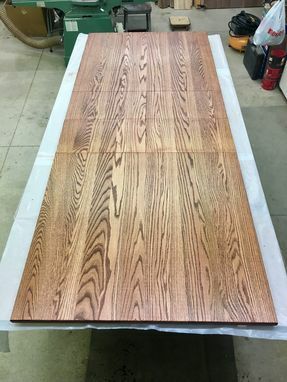 After several experiments with various stain colors, a mixture of 2 colors was chosen & applied to all parts of the Dining Table. 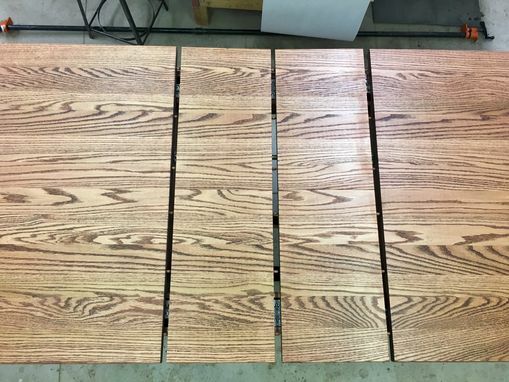 A 50/50 mix of Danish oil & a satin polyurethane was applied to the entire table. A final light buffing brought out a low luster sheen. 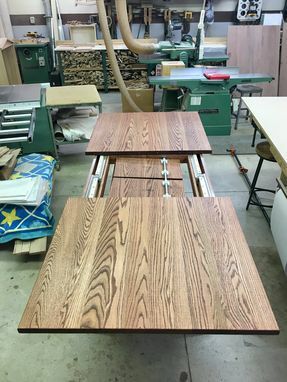 Please contact the craftsman through Custommade.com for additional information concerning the Dining Table & estimated time of delivery, as construction time can take in excess of 12 weeks.